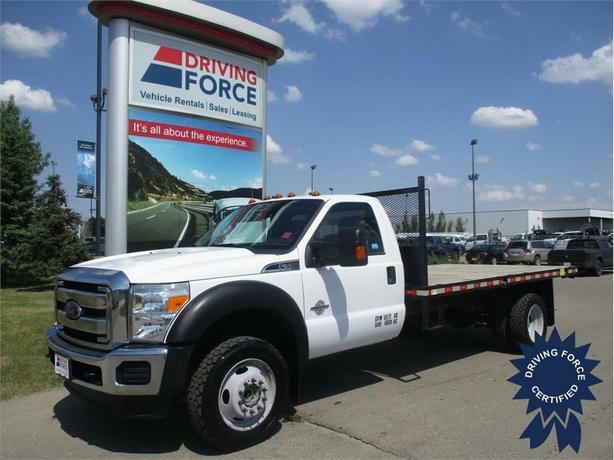 There's a 6.7-litre eight-cylinder diesel engine and six-speed automatic transmission with dual shift mode hidden under the hood of this 2016 Super Duty. Take this truck for a test drive and you'll discover why the Super Duty is one of Ford's most popular models. Among the features are all-terrain tires, power windows and heated mirrors with integrated turn signalling, keyless entry, Bluetooth connection, tow hitch and hooks, flat deck, and trailer brake controls. This vehicle is ready to work.